After studying communicative sciences and disorders at the graduate level for two years and spending another year in a post-grad fellowship, not every evidence-based-practice-minded SLP can get behind anything that refers to itself as alternative and complementary. Of course, there’s no chance that therapeutic methods and modalities outside the realm of hard science are going to be replacing the diligent and verifiable work SLPs do everyday, but if it helps patients – even if that means helping them feel better – then, why not allow it to serve its stated role as something complementary to conventional, tried and tested methods of speech-language therapy? Speech therapy works. But if complementary interventions offer some hope of improved results or decrease the amount of time a patient spends in therapy, then patients deserve to be able to explore those possibilities, and as it turns out, they very often do. Here we show you the top five complementary modalities parents and patients are choosing to include along with their speech therapy. Neurofeedback is a form of biofeedback for the brain. A therapist attaches sensors to the patient’s scalp, and these sensors monitor brainwave activity that can literally be seen on a computer screen. The whole idea behind neurofeedback is to train patients how to regulate their own brainwave activity through practice over time. Using music or video, the computer rewards the patient each time they move toward an “ideal” brain state. Over time, patients can effectively train their brain to spend more time in the ideal states, which can impact the brain’s speech functions. Speech patients with dysarthria, stuttering/cluttering, apraxia, aphasia, and ADHD or autism spectrum disorders. Numerous small studies show positive impact on speech-related disorders. Experts disagree on whether it should be used for those with autism spectrum disorders. More wide-ranging studies are needed to clarify general effectiveness. Approximately 30% of individuals seem completely unaffected by neurofeedback, so it’s not for everyone…but you never know, a patient might be part of the 70%. A Board-Certified Music Therapist (MT-BC) collaborates with plans laid out by your SLP to work on prosody, breathing, vocabulary and other aspects of speech. Amusic therapist uses instruments together with pre-established speech therapy techniques during sessions, integrating multiple aspects of speech into the process. Music therapy tends to be fairly cost-effective, so it’s possible that combining music therapy with speech therapy may decrease the overall cost associated with speech therapy. Those with dysarthria, apraxia, other articulation/phonological disorders, aphasia, stuttering, selective mutism, auditory processing disorder, autism, other developmental disorders. Music therapy appears to interact with fundamental elements of speech development. Parallels between music and speech/language development indicate that collaboration between SLP’s and music therapists should be considered for neurological speech impairments. Many researchers and practitioners consider music therapy an evidence-based medicine, however some would still like to see larger, more wide-ranging studies. With diet therapy you alter your food intake to better nourish your brain and calm any sensory integration issues. Sometimes underlying food allergies appear to affect speech and articulation, so you also might explore allergy testing and/or elimination diets. Some popular diets among the speech disorders community include Feingold, Paleo, and Gluten Free/Casein Free. Because only minimal research exists, it is not known which disorders are most likely to respond to dietary changes. Anecdotally, individuals with a combination of speech and sensory disorders may be most likely to benefit. Nutritional deficits can be an underlying root of some speech disorders, so improving overall nutrition, especially omega-3 and fatty acid, can improve therapy outcomes. Little research exists on the influence of special diets and their impact on speech disorders. Anecdotally, many families have seen significant improvement after experimenting with diet therapies. Children with the HLA gene associated with gluten sensitivity/celiac disease appear to have malabsorption issues that lead to apraxia. Sound therapy – not to be confused with “sound healing”, “sound meditation”, or “sound bathing” – focuses on improving the foundational aspects of your neurological functioning, with a special focus on auditory processing and attention. You can find numerous versions of sound therapy, but they all use listening and sound exercises performed by a certified practitioner to stimulate neurological processes. Some families also report side benefits, including improved coordination, executive functioning, and social skills. Most individuals with speech disorders are candidates for sound therapy. 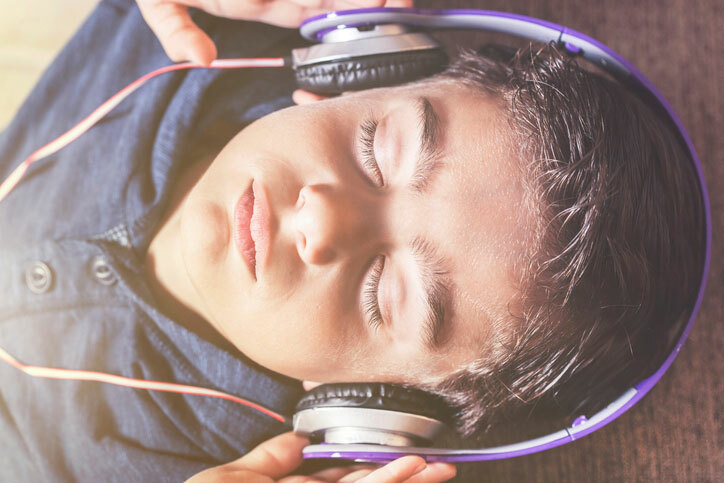 ASHA initiated a task force to explore Auditory Integration Training (AIT), a common sound therapy, and concluded that not enough research exists to draw any conclusions, but recommends re-examining the issue if scientific, controlled studies become available. No solid, published, peer-reviewed studies are currently available. Anecdotal and some individual case studies suggest the potential for promising outcomes. Each of these methods aims to normalize the movement and interaction of your muscles, nerves, and tissues both in and connected to your oral-facial areas. These therapies can be ideal for very small infants who present with feeding difficulties. Those with articulation disorders, some voice disorders, stuttering, and oral-motor disorders. Limited research exists, but preliminary evidence suggests that massage, especially laryngeal massage, can be helpful for those with voice disorders. Anecdotal evidence suggests that when combined with traditional feeding therapies cranio-sacral and myofascial massage can improve outcomes for infants with breast and bottle-feeding difficulties.